What is your running story? 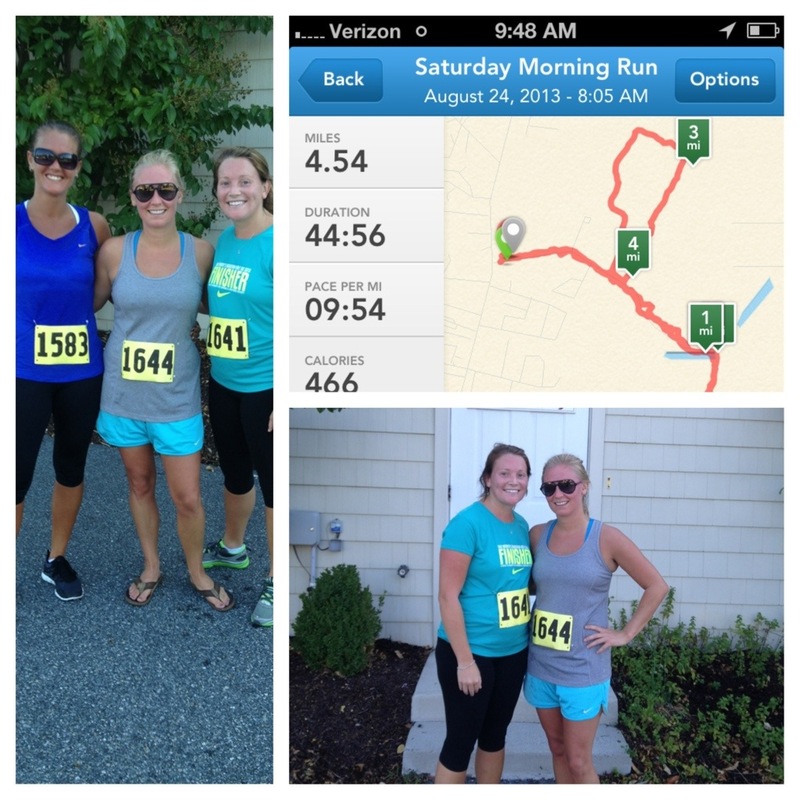 Had a great time running the Ed Dean 4 Miler today in Ocean View, DE. Seashore Striders always puts on a good race and the breakfast made by magnolias was delicious- and I am not a breakfast person. It felt good to run a timed race with others today. As I was running I started to think about others that were there today.. What is their running story? What made them start running? I know my sister was my reason to start running and it turned into a way for me to set a goal and accomplish it. This has spilled over in my everyday life. If I set a goal to do something- I do it– even if it seems to take me forever. That is exactly how running is for me. It may take me forever to finish a race, but I finish and I feel awesome afterwards- no matter what the clock says. So what is your running story? Has running helped you in anyway?